Louise Ellison returns this month, as she explains how the ability to maximise your marketing potential is only a few clicks away. One of my favourite strategies in business is to target the low hanging fruit, the warm leads, the easy conversions. This applies to marketing too; start with the simple tasks first. So, let’s talk about Google My Business. When people are searching for your business via Google Search or Google Maps, your business profile appears on the right- hand side. Well, it should, assuming you have a profile. Sometimes your business will be automatically listed as a result of Google automatically capturing data from your website, social media, or online directories. Go to www.google.com/businessGoogle and follow the instructions to either claim an existing profile or set up a new one. The benefits of Google My Business are threefold: increased visibility in Google search, a better brand experience for your customers, and more traffic to your website, social channels, and your workshop. On top of this, you can manage it easily on your desktop or via the mobile app. This is essential. Make sure that, at the very least, your business name, address, phone number, website URL, hours of operation and business category are correct. We all know how annoying it is when we search a business, look up its opening hours, and turn up only to find that it closes early on a Friday. What impact does this have on a consumer’s mindset? It largely leads them to go elsewhere, which is what will happen if your profile is not up to date and doesn’t share the same messaging as your website or social media – it is important to maintain consistency. The description is important too, as it’s the first touch-point a customer will have with your business; it’s your opportunity to tell your story, present your USPs, and explain why you’re better than the competition. Sell yourself. At a recent Google Digital Garage training event, the presenter told a great anecdote about a solicitor complaining about a lack of traffic to his website. Upon investigation, they found that as he hadn’t uploaded any images to his profile, Google had automatically used images from Streetview of the area where his office was located, which included a kebab shop and a play park. Undoubtedly, the lack of an actual office exterior or interior, logo or professional headshots was putting off potential clients. So, make sure you add images that are relevant to your business, such as roadside exterior, reception area, workshop, key members of staff, retail products, etc. The reviews on your Google My Business profile can be a deciding factor in whether or not a customer takes the next step to click or call. Whether it’s a glowing five star or a damning one star review, you need to respond to them all in a timely and appropriate manner. If it’s a positive one, thank the customer for their business and for taking the time to leave their review, encourage them to also visit your other online channels and perhaps ask them to duplicate the review on Facebook. If it’s negative, again thank them for taking the time to give you feedback, reassure them that it means a lot to your business and respond directly to the issues raised. We all get those customers who we feel are unjustified in their complaint, or appear to embellish the situation once they get behind their keyboard, but the trick is to stick to the facts and be polite. If there is any chance that you can rectify the situation, now is the time and the place, even if it’s just to ask the customer to get in touch so that you can discuss the issue in person. 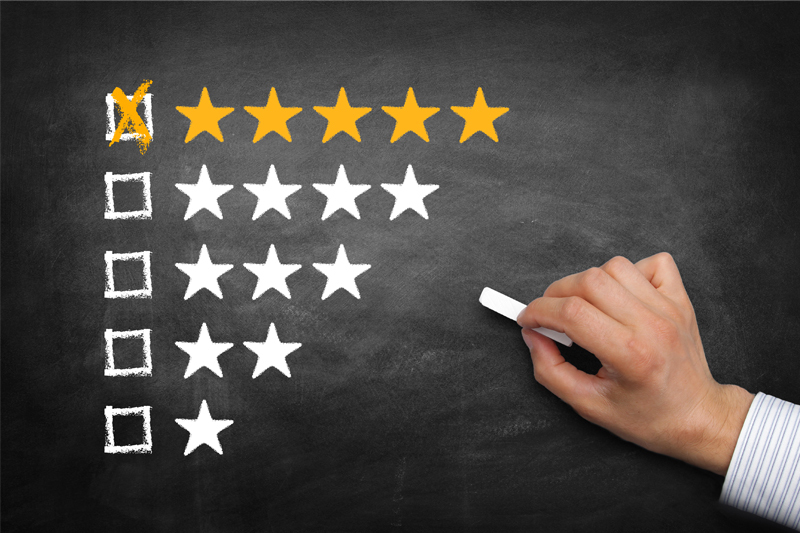 Those negative reviews can hurt your overall rating, but if potential customers can see your response, it is much less damaging.